Asian Economic Papers - Philippine distributor of magazines, books, journals, etc. Asian Economic Papers is sponsored by the Earth Institute, Columbia University, United States; Jeffrey Cheah Institute on Southeast Asia, Sunway University, Malaysia; Economic Research Institute for ASEAN and East Asia, Indonesia; and the Korea Institute for International Economic Policy, South Korea. 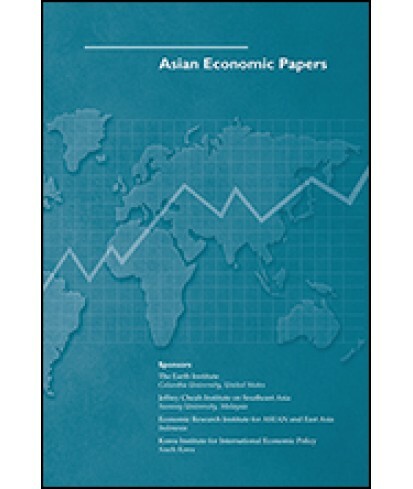 AEP’s articles focus on high-quality, objective analysis of key economic issues of a particular Asian economy or of the broader Asian region, and offer creative solutions to these Asian economic issues. AEP selects articles from open submissions and solicits articles from the top experts in the fields that are of high contemporary interest. Authors present their analyses at the Asian Economic Panel, which convenes thrice yearly in different parts of the world. The panel, which held its first meeting in April of 2001, consists of over 50 leading economists from all over the world specially invited to discuss the subjects of that particular meeting. AEP makes its publication decisions after reviewing the revised papers.